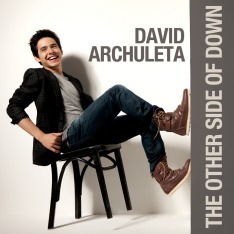 Songs I have a problem, and other David Archuleta fans have shared that they too suffer from the same thing! It seems that when we hear David sing a song that was a big hit by another singer, we immediately like David’s version better than the original. 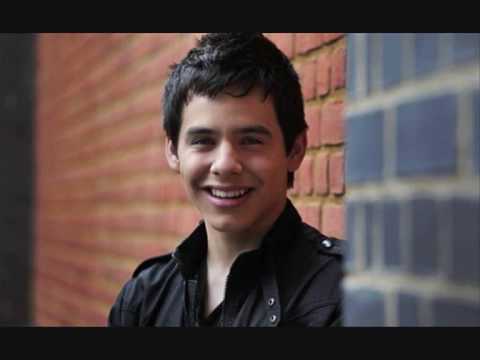 So many times when I hear a popular song on the radio, all I can think of is David and how much I love the way he sings the song. This has happened at work, in an elevator, at the doctor’s office, even the grocery store. When I turn the car radio on and I hear these songs, I always wish it was David’s version that was playing. David has a way of taking the song and making it sound wonderful by adding his own style and emotion. After hearing him, all other versions are ruined. I only want to hear David sing them. “A Thousand Miles” was a breakthrough single for Vanessa Carlton when it was released in February 2002. It was one of the most popular songs of that year. “A Thousand Miles” is a piano-driven pop song about longing for that special someone and wanting to be with them so badly, that you would do whatever it takes to make that happen, even walking a thousand miles! An early video of David performing “A Thousand Miles” before he was a contestant on American Idol. David’s studio version of “A Thousand Miles,” recorded as part of a ‘Fan-pack’ that could be purchased through i-Tunes last year. 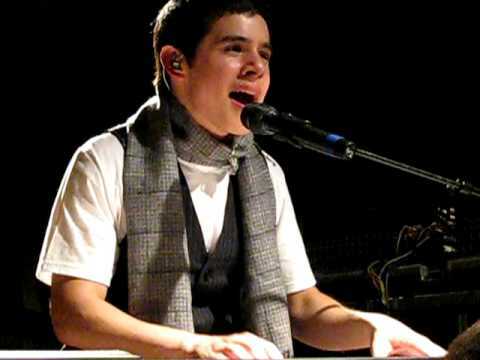 “ATM” is a perfect song for David. It’s classic and jazzy. The piano made this song a hit. You can hear to play it with this instructional video. It’s 10 minutes, but covers the whole song. The syncopated rhythm is very catchy.